I been big fan of Naked1 palette for around a year now. 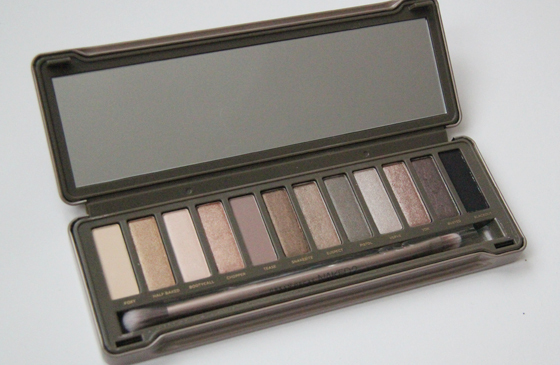 When the Naked 2 palette came out, I had mix feelings about it. As the shadows look very similar, I kept on thinking about it. I went in store and had swatches the whole palette on my hand and compared it to Naked1 palette. So I decided to give it a go. I must say that I feel like I'm loving this palette more than the first one. The colours are a lot cooler, the colours are similar but not exactly the same. 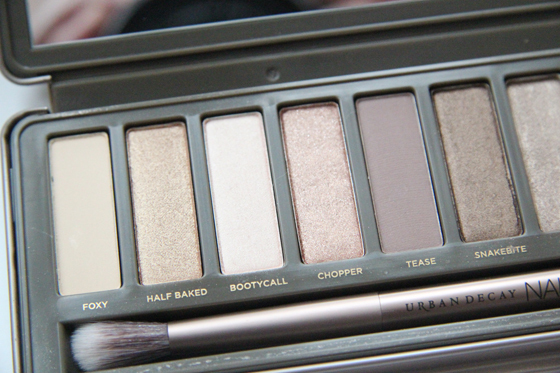 Half Baked is the only eye-shadow which is reaped in Naked 2 palette. I love very light smoky brown eye look, so the colours are perfect for me. My favourite eye-shadow are Bootycall, Chopper, Tease, Suspect, Pistol, YDK. I really like using the brush which came with it. I wish that Naked 2 palette would come with Primer Potion. The eyes shadows are very pigmented, as well as the quality is very nice. The packaging looks very nice it's more practical. 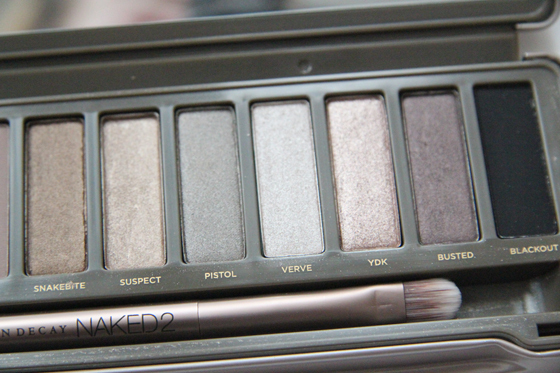 Naked 2 palette is a bit heavier, but that's not a problem. The Naked also very lovely case, I liked the velvety feeling, but it's very annoying that it catches dust so badly. Overall I don't really think you need two palettes, one would be enough. To make right choice I would recommend you to take a close look at both and compare them. I don't own many eye shadows, I have two MAC eye shadows, Benefit palette and Fashiolista palettes. I wear eyes shadows on daily basic. Sorry that I haven't included swatches, you can find very good swatches here. I do want to get it, but I can go without it till then! :) have the first! So no rush.